How NewYork-Presbyterian’s Integrative Health and Wellbeing program uses this ancient practice to aid in managing pain and reducing stress. Manna Lu-Wong says she needs only one minute to convince skeptics of the therapeutic effects of Reiki, a technique in which a practitioner lightly places his or her hands on a patient with the goal of facilitating the patient’s ability to tap into the body’s natural healing process. 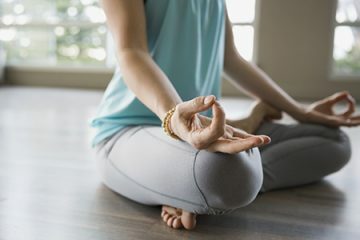 Lu-Wong is among a group of practitioners at the Integrative Health and Wellbeing program at NewYork-Presbyterian, in collaboration with Weill Cornell Medicine, who are using a range of holistic healing techniques to manage pain, decrease anxiety, and promote health and wellbeing. 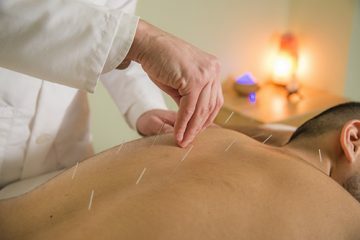 These traditionally Eastern practices, such as yoga and acupuncture, in addition to Reiki, complement — but don’t replace — Western medical care. Reiki is based on an Eastern belief in energy that supports the body’s innate or natural healing abilities. “In simple terms, Reiki is energy, and the body recognizes this energy and uses it for its therapeutic effects,” says Lu-Wong, who is also a licensed acupuncturist. A treatment session can last between 15 and 30 minutes and can be done sitting, in a hospital bed, in a wheelchair or a waiting room. So who would benefit from Reiki? Anyone who is experiencing a high level of stress, from someone heading into a routine surgery to cancer patients coping with side effects of chemotherapy or radiation treatments. It is also used for self-practice or health maintenance and to promote health and wellbeing. A 2010 study published in the Journal of the American College of Cardiology evaluated the effects of Reiki on patients recovering from a heart attack. The study, “Effects of Reiki on Autonomic Activity Early After Acute Coronary Syndrome,” evaluated heart-rate variability (the time interval between heartbeats), which is used to assess stress, and emotional state. A sample of 49 patients randomly received Reiki or one of two other interventions (rest or classical music) within 72 hours of an acute coronary syndrome such as a heart attack. Researchers found that Reiki had a larger impact on patients’ overall emotional state and showed a significant increase in heart-rate variability within three days, indicating a reduction in stress. Lu-Wong also is exploring the tangible benefits of Reiki, most notably in a 2015 pilot program she conducted at NewYork-Presbyterian Lower Manhattan Hospital to determine whether a method of relaxation can produce immediate and prolonged declines in perceived anxiety, stress, and pain in radiation oncology patients. Twenty-four NewYork-Presbyterian patients ages 40–79 undergoing radiation therapy during cancer treatment participated in the study. After their radiation session, they underwent 30 minutes of relaxation exercises, which consisted of Reiki, therapeutic touch, sound therapy, music therapy, and aromatherapy. Blood pressure, heart rate, and pain level were recorded before and immediately after the intervention. Proponents of the practice say there are other uses of Reiki, and Lu-Wong says it can be beneficial for anyone at any age. People use Reiki for many reasons: self-practice, chronic pain, stress, anxiety, or simply to promote overall health and wellbeing. “My patients who have received Reiki for anxiety and stress say that Reiki helps balance their emotions, others have reported overall relaxation, and for some, it’s even inspired them to learn Reiki for their own self-care,” Lu-Wong says. Lu-Wong practices Reiki for her own care and that of her children, ages 6 and 12. “I do self-practice every day to myself and my family,” she says.